If your computer takes a long time to boot up, that's likely because it runs on a mechanical hard drive. This is also the case of most of older computers. A 5-year-old computer with an SSD boots much faster than even a brand new rig running on a mechanical hard drive. Replacing that hard drive with an SSD will be the most satisfying upgrade, and it will boost your rig's performance so significantly that you'll ask yourself why you didn't do it sooner. The first Flash-based solid state disk (SSD) made an appearance in the 1990s and it was quickly improved upon to a point where it is now substantially faster, can store significantly more, and is considerably more stable than its mechanical HDD counterparts. The majority of these advantages result from the fact that SSDs don’t employ any moving part in their architecture. In contrast to mechanical hard drives that use drive motors to help spin up the magnetic platters as well as the drive heads, flash memory chips are the ones responsible for all the storage on a solid state drive. This feature offers faster data access, lower power requirements, and high reliability. That is to say, SSDs transforms the pace of productivity. 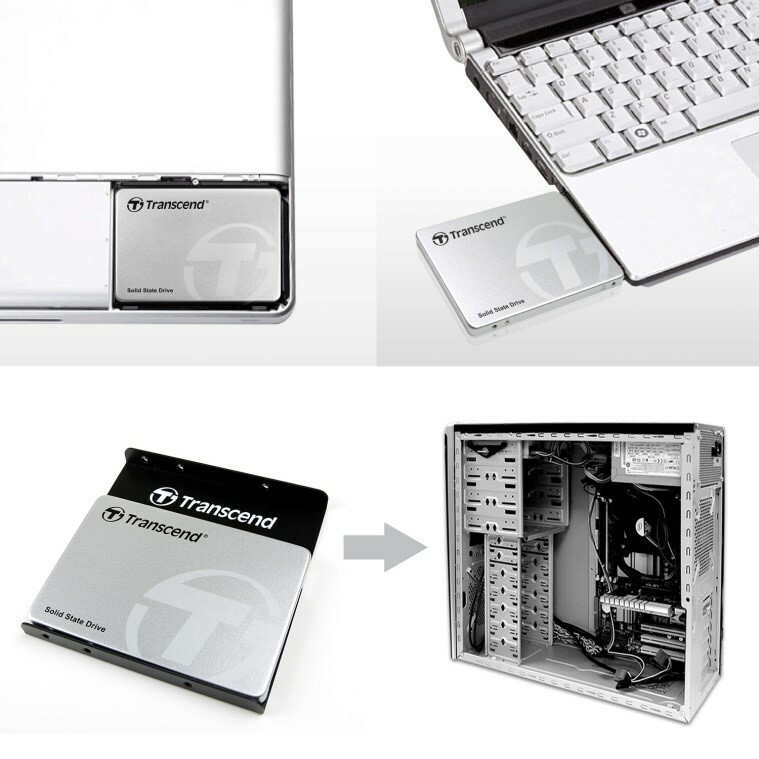 Transcend Information, a leading manufacturer of storage and multimedia products, has devoted itself to developing a full line of high-performance, energy-efficient, and highly reliable SSDs for storage applications. 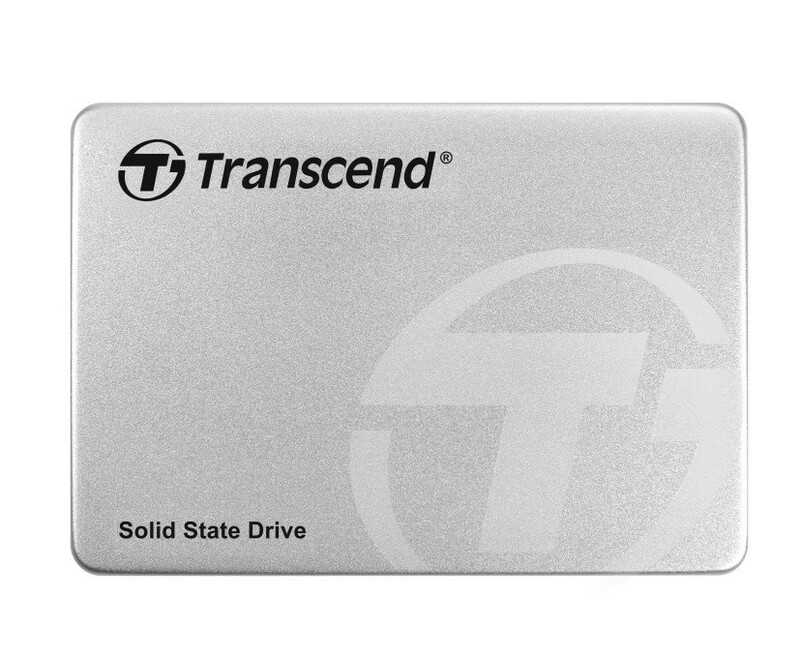 For enthusiasts and gamers, mainstream to professional users, Transcend SSDs are the great upgrade to current systems and you can easily choose the right drive based on your expected usage. 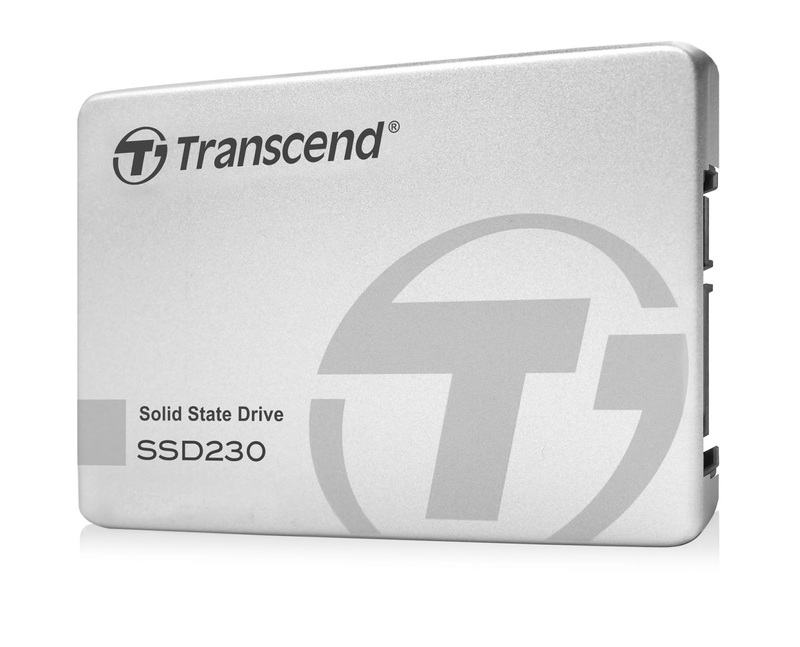 Transcend's SSD230 SATA III 6Gb/s SSD adopts the latest 3D NAND technology that features vertical expansion of storage cells by stacking one cell on top of the other. Featuring a DDR3 DRAM cache to provide the maximum 4K random read/write of 85,000 IOPS, the SSD230 allows you to load games and multiple applications faster than ever before. The SSD230 features an industry-standard 2.5" form factor. Yet, it measures just 6.8mm in height and weighs in at a mere 63g, making it supremely well-suited for ultra-thin computing devices such as Ultrabooks as well as mainstream PCs. By using only high-quality flash chips and enhanced firmware algorithms, the SSD230 is guaranteed to deliver greater performance and reliability. 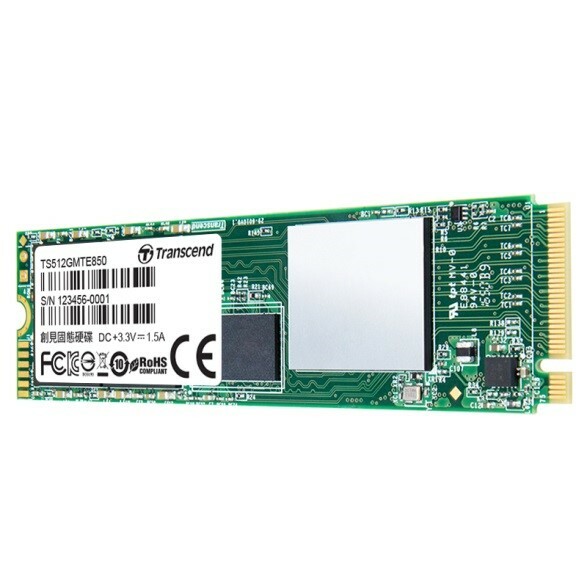 Transcend's MTE850 M.2 SSD utilizes the PCI Express Gen3 x4 interface supported by the latest NVMe standard, to unleash next-generation performance. The MTE850 M.2 SSD aims at high-end applications, such as digital audio/video production, gaming, and enterprise use, which require constant processing heavy workloads with no system lags or slowdowns of any kind. Powered by 3D MLC NAND flash memory, the MTE850 M.2 SSD gives you not only fast transfer speeds but unmatched reliability. 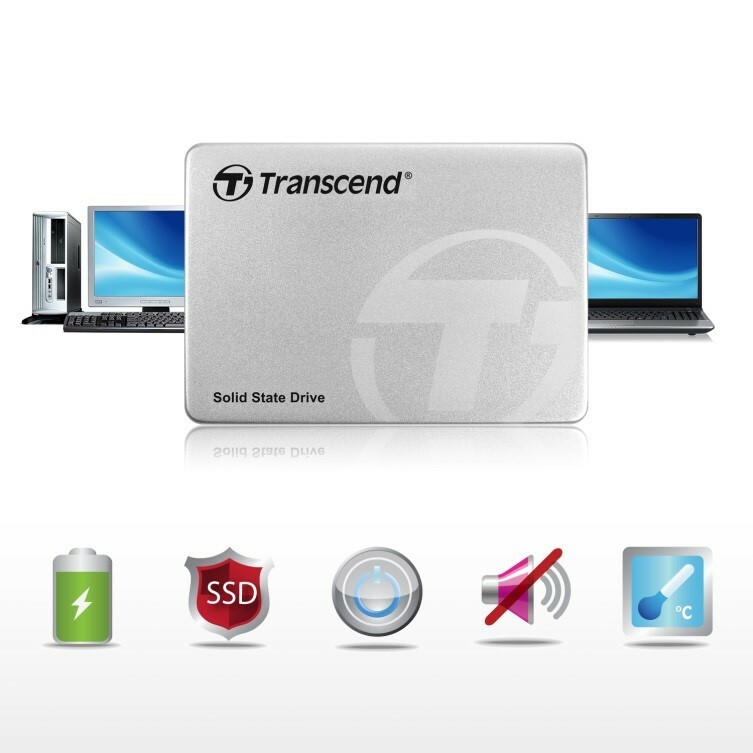 Transcend's SSD370 SATA III 6G/s SSD boasts incredibly fast transfer speeds, a compact and lightweight design, shock and vibration resistance, and supports DevSleep mode. With a powerful controller, up to 1TB storage and better endurance, the SSD370 helps business clients and media professional increase performance and make data more secure. To further increase the lifespan of the SSD370, built-in wear-leveling and Error Correction Code (ECC) ensure continued reliable data transfer. It will not only increase performance but can also be used to extend the life of older systems and enable an organization to delay a PC refresh. 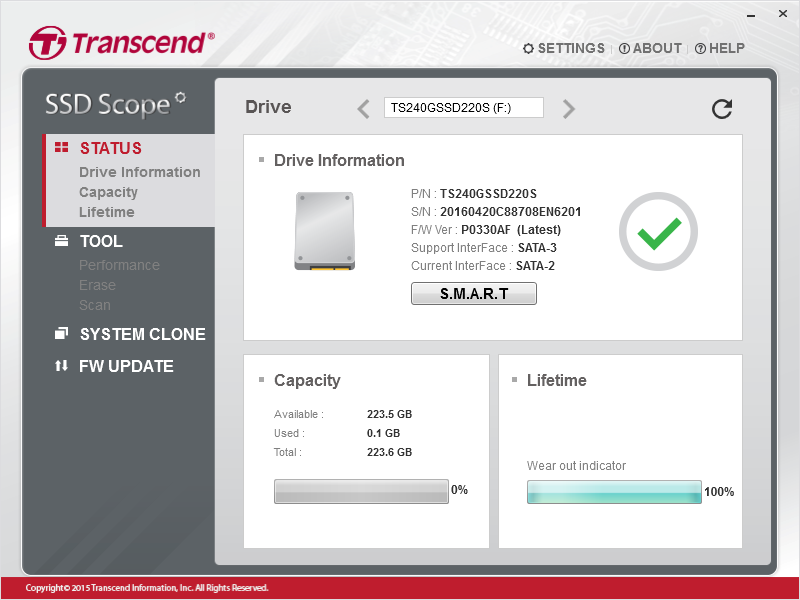 Developed for use with Transcend SSD products, Transcend SSD Scope is an advanced and user-friendly software that makes it easier than ever to maintain a healthy and efficient SSD. SSD Scope brings together the latest technology in determining the condition and optimizing the performance of an SSD. The useful features include View Drive Information, View S.M.A.R.T. Status, Diagnostic Scan, Secure Erase, Firmware Update, TRIM Enable, Health Indicator and System Clone.